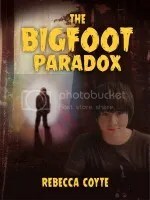 Categories / Themes: native Americans, tradition, young adult, coming of age, paranormal, nature. Obtained: free eCopy from the author in return for an honest review. Kharishma by Jenny L.R. Nay is about Khari, a young girl of native American origins. She works in London, in the fashion industry… Finding strange new feelings, she begins finding various bees and the odd desire to return home to Oregon, something that she had been planning for some time now. Once she arrives there, she finds it uncomfortable to be around the people she had once known in her younger years. She has also found new friends, the insects and find that the bees she had been finding in London had travelled there just to see her. Through the things happening in her everyday life, the things told to her by the insects and her family, she finds that she is being drawn to find the land belonging to her tribe. That is, before someone else does and tries to take it as a selfish conquest. The characters are completely enthralling and even the supporting characters have quirks or values that keep them interesting. Many of the people in the book feel very natural, which is unusual for me. The author has written these characters very well so that all of them have their own part to play. Each one of these characters is relatable in some aspect and I can consider the perspectives of each of these people, understanding their actions and their part to play in the story. The book is very special in that way, that I can even take on the perspective of the bad guy and find that I can understand his position. In the same light, I can understand Khari’s choices and thoughts, finding myself equally inquisitive as she on her journey and curious to know more about her past, as well as the history of her people. The plot is interesting too. It begins fairly simply, with a young girl moving away from London. We find that she is someone we can relate to, someone who forgets to put the bin out before the garbage man comes and someone who is not necessarily confident in her everyday life. She’s normal and not anything particularly special, but then she finds that she’s being drawn to her homeland. There’s an air of whimsy about the book. It’s not necessarily all about the plot. A lot of the writing is about the scenarios and thoughts that we experience while reading. We’re drawn into new situations with each new chapter where we explore all sorts of things that might be new to the reader. The plot itself is fairly set in reality, though with the help of a little bit of mysticism, it’s sort of blessed with a bit of magic as well. A lot of people in real life have natural grace with animals, and that’s sort of what Khari’s relationship with the insects is like. It’s almost as if it could be a factual story and the author does not over do the fantastical aspects. Overall, I’m pretty pleased with this book. The characters all have very unique qualities and I can see why each has chosen their own path in the story, understanding their actions. The plot and settings all have some sort of interesting elements that keep me intrigued right through the book. It’s a great story and is quite an inspiring tale of an ordinary girl who rises to recover her tribal land. It is well worth five stars. Thinking back on it, I still eagerly await a potential sequel; I still would like to read more into Khari’s life and the recovery of her lost tribe. I think the thing that I remember most fondly about the book is the author’s way with words. It was a pleasure to read a book so well-written. I was lucky enough to receive a free eCopy of this book in return for an honest review. Before we start, I would like to say that I am merely pointing this out as a writing tool and not suggesting for you to diagnose yourself. Personally, I wouldn’t really want to use such websites to diagnose myself (that’s up to the doctors, in my opinion). I might use them to read more about something the doctor has informed me about, though… Anyway, I think they’re a great tool for writing.
! !…Be aware that many pictures you find on these websites might be graphic and very disturbing…!! All of the above are interesting websites if you’re looking for information about particular illnesses. They offer data varying things, whether they are common or rarer. They had images and graphics which help explain certain issues. They offer information about fitness and general healthy lifestyle choices. Drugs.com is a little bit more specific and deals with the medication in particular. I appreciate such a website because it provides a lot more information about these drugs, effects and even the interactions between them (if you take more than just one type). Medical News Today is also a great website because it offers a lot of new research and articles to do with new illnesses, cures, etc. Medical fiction, for me, has always been an interesting look into the human body. It’s fascinating to see the different types of cases presented on TV and in books. One of my favourite shows was House, MD; I think it was a good look into some very odd and quirky cases, and entertaining at the same time. For the actual writing of such fiction, I think it’s appropriate to look into the history, symptoms and development of the medical issues that a character might have. If you have a patient with an illness, you need to show your readers the correct signs of it. Many illnesses and diseases, in addition to the physical signs, can also causes mental and personality changes. It’s all quite fascinating stuff. Personally, I don’t write a huge amount of medical stuff, but even common storylines and character traits- such as depression, pregnancy, venereal diseases (STDs), diabetes, alcoholism, etc, etc- do have their basis in medical science. If you might not be clear on the medical issues you’re writing about, even if you do have experience in such a thing, I find it best to research. Another useful tool on some of these websites is the Symptom Checker. Say you have a character with a back problem. It might not be from a simple strain, it could be due to other problems due to things like their gall bladder. How might these problems affect your character in their daily life? For some problems, the issues you give your character might need to dictate the timeline. For example, if you want your patient to have a disease or illness, obviously there are symptoms that come and go at certain points. A pregnancy is probably the best example of this. There are three trimesters, with different symptoms coming and going at each. The characteristic vomiting happens at one point, whilst other symptoms appear at other times. In your book, if a character has an issue you’ve given them, what might they experience at different points during the illness? How might it change their lifestyle? They might not be able to do the same amount of work. For example, if a handyman has a back issue, obviously they’ll need to change their workload appropriately. The same with someone who’s a fighter; how might a head injury change their lifestyle and career? All the time, we hear about footballers and athletes who take on some sicknesses. In a different position, we have office workers who have different symptoms, indicative of different illnesses. They (your character) might come to a doctor with a specific list of ailments. Not all of them might be relevant, of course; a bit of a rash might just be suggestive of tinea (athletes’’ foot, to some). In the time the doctor is diagnosing this patient, some symptoms might be explained, whilst others crop up. As your doctors find more information about your patient, obviously the list will narrow and the doctors (might) know what they have. As an author, it’s really up to you to determine how your characters deal with these problems as they crop up. Not everyone experiences the same symptoms, notices or cares about them when they do occur. It’s up to you to figure out what’s relevant to your story and how it might affect your plot. Obviously drugs and medicine are featured a lot in books. Most people in real life take medicine on a regular basis. It doesn’t even need to be anything major; many people take medicine to deal with things such as headaches (or other pain), cold & flu, stomach & digestion issues, vitamins & supplements, birth control, etc. You don’t need to include information of what colour a pill is or the writing on it, unless it’s important to the plot. However, the data listed on these tools is still relevant; there are lists of interactions and potential overdose information. If your character already has medical issues, it’s worthwhile looking into what might be prescribed and if it will clash with said issues. Again, if a character is pregnant, a doctor would definitely take that into account when prescribing medicine. This is because many drugs have terrible side effects that may cause harm to a child; such as birth defects- both physical and mental. Some drugs can even cause miscarriages. For non-pregnant people, medicines may still be harmful. Doctors might take into account things like age, gender, race (apparently some medicines work better for some races than others due to things like genetics), activity level, etc. On that note, it’s also worthwhile to look into other treatments of conditions. If the character is going into cardiac arrest, what might someone do to aid them? If the character has been shot, there’s obviously a few different ways that characters might deal with this wound. If it’s a battlefield surgery, they might do it roughly and the character might not heal as well as someone who’s gone through the operation in a hospital. The hospital patient might still have difficulties with the various tools during the surgery. Such as the anaesthetic. Either way, there’s going to be a lot of recovery. Also, different cultures can lead to different treatments. Whilst in a city, a character might be treated to one symptom with tablets. In a town somewhere else, a character might be treated with exercises or funny plants that we’ve never heard of. Some cultures still practice magic such as voodoo or witchcraft. The most important consideration is what level of medical care is your patient receiving and how each treatment might change their condition. Another point I’d like to make here is that if you’re writing about something, you obviously have to consider your genre. For example, if you’re writing a book for younger people. It might be worthwhile to have the accurate information, but to dumb it down as necessary. Not every child will understand what cancer is or the proper reasons to wash hands before a meal. However, it’s worthwhile to explain it properly in any genre. In my opinion, I think it’s worth introducing the information appropriately; not everyone has the same level of knowledge and some can be clueless when taking in hints or new information. Another point is something like a romance novel; the audience might not react well or enjoy any gore. 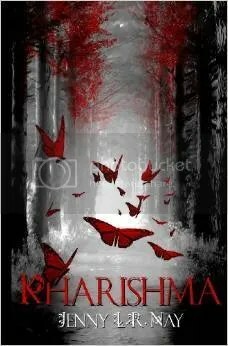 With a horror novel, it might be expected to have a bit of blood and guts. Again, of course, it’s up to you what information you include and how you present it to the audience. Just take consideration into whether people will understand it and how the provided information might change the rating of a book. I am in no way affiliated with these websites or any owners of either. I am just a happy user and felt that their services might be beneficial to others. Also, I really do want to reiterate that if you have medical problems, it is best to seek the advice of your doctor. Yes, websites like this do have information from doctors and medical professionals, but if you’re sick it’s best to talk about your symptoms to someone who is familiar with your medical history and might be able to do something about it. Categories / Themes: Life changes, midlife crisis, new experiences. 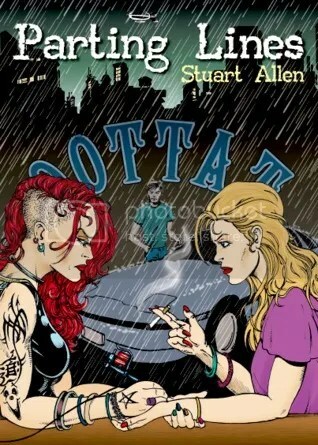 Parting Lines by Stuart Allen is a book about a man finding his true self after his life turns out horribly wrong. It’s essentially a mid-life crisis. Tim Hoskings, the main character, has had the same life for a couple of decades. He has a wife, a normal job and a stable life. That is, until he decides to have an affair. Soon after, he goes into work and assaults a man. Now he has no home, because his wife has kicked him out. Now he has no job, because he has been fired for the assault. He lives on a yacht and hopes that he can fix what he has done to other people. This begins by trying to apologise to Derek, the man he had assaulted. It turns out that this Derek and his friend Cassandra can actually help Tim on a journey of rediscovery, though not everything goes to plan. Well… There wasn’t really any plan in the first place, I guess. I think that the plot was quite intriguing. There were a lot of ups, downs and in-betweens in the book. Though many of the events that happened seemed miserable, the way the book was written didn’t make it feel unhappy. This isn’t a bad thing. I liked that way that Tim had a lot of terrible stuff going on his life, but he kept on going and doing his best to try and fix the stuff he had done, meanwhile trying to contribute to other peoples’ lives. In many cases, the things that happened seemed a little unusual or far-fetched, but I didn’t really mind. I think it’s mainly because I knew that it was part of Tim’s rebirth. He essentially has “woken up” and is trying new things, testing the waters for what he thinks he might like. There are several sub-plots and, while not all seem necessary, I do like that they all link together somehow and that they’re all just pieces of some big puzzle slotting together. It was something of an emotional rollercoaster to read. I liked a lot of the subtle jokes and dry humour. Though, I also liked that there were kind of upsetting portions where I could feel sad or shocked at what had just happened in the book. I liked most of the characters. My favourite had to be Derek. I just thought that he was such a sweet person and he seems so genuine. I liked the way he was eager to become friends with Tim even after being assaulted; it’s hard to explain my feelings on the matter, but I just thought that his relationship with Tim was so sweet. I thought it quite incredible that Derek was willing to forgive Tim and that Tim was doing his best to become friends with a man who he had not even noticed until the assault. I liked that Cassandra was so willing to help Tim in his new journey. I know that, in some cases, she was just doing it to help Derek or herself, but it did seem like she was also doing it to help Tim. As for characters I didn’t really like, I suppose Clare and Todd would have to be the top of my dislike list. I just couldn’t help but think that Clare was really selfish and kind of greedy as well. It just seemed (this is just my opinion) that she kept on complaining that Tim was the one that was selfish, but only ever kept on doing things for herself. The man essentially had no money, but she kept on demanding more from him, even though she had all of their savings and used it to pay for the mortgage. She went ahead and changed the locks of their house, even though his stuff was still there and he needed it. On Todd, I just didn’t get the feeling that he was any sort of real friend to Tim. To me, it just seemed like he felt like he was being forced to meet up with Tim and that he never really wanted to spend any time with his friend. I understand that he was confused or mad by Tim’s recent behaviour, though it just didn’t seem like Todd would be the type of friend I would like to have for myself. There are a few faults, in my opinion. There were a few storylines that felt a little unnecessary. For example, the reasons for the visit to the doctor and also the whole thing with the police and court case. I just didn’t feel like either story really seemed like they completely fit. I thought that the ending was fitting. I think that Tim’s story is essentially over for me. We (who have read it) can pretty much guess what happens next. Though, I must say that I thought the ending a little dull in comparison to what else happened in the novel (no offense intended, Mr Allen). I think that there are other characters in the book that I would like to have known more about and think that some of those storylines could be expanded well in another book. I’m quite intrigued by Josephine and her painting career, for example. I would also like to know about the Cassandra and Derek storyline. I think that Stuart Allen has an interesting way of writing. I did really feel like it tested my emotions and it really kept me intrigued. I would like to read more of the author’s work in future. Overall, I think that it has a few faults, but nothing is really wrong with the book, save for my opinionated feelings. So, essentially, I still think it’s worth five stars. Having just looked on the author’s profile on Goodreads- now that it’s two years later and I’m cross posting this review to my blog), it seems that he’s working on a sequel to see where Tim ends up after this. It’s going to be entitled “Double Yellow Lines”. I am still certainly interested in giving it a read! My memories of the book are still fond and I appreciate that Tim kept such an optimistic view on his life. His life was pretty messed up and he managed to bring some semblance of sanity back to it. That’s the type of idea I find comforting. Considering the characters, I still think that his wife was a pretty poor person in terms of what she did. Yes she was mad because of what he’d done, and many others out there would act in the same manner. However, I think that Tim deserved to be treated a lot better. Also, I still appreciate that it could hit close to home to many; several of us might experience Tim’s behaviour or the things he was victim to. We might find ourselves in trouble or down on our luck in these types of situations. So I think that’s what makes it such a good book for me; it takes a good, hard look at the terrible things that can happen in someone’s life and features their drive to fix things. In the two years since reading it, I don’t think I’ve come across another book quite like it. Despite it being about reasonably regular things to happen to people, it’s still quite a unique book. There is sexual content and bad language in the book, just to warn you. It’s not the type of content that one can avoid; there’s quite a bit. Categories / Themes: non-fiction, Scotland, family, tradition, tartan. At the end of 2013, I was at a book shop at the markets and I came across this book for sale at the book shop. I was pretty interested, but I didn’t have the cash for it. When I got home, I intended to buy it online but was unable to find it in my usual online stores. I was quite interested in it so I went back in early February of 2014, but was disappointed that they no longer had it on display. I was lucky enough that when I asked for it at a later date, they still had a copy! Yay! I’m pretty pleased with this book. I’ve always been sort of interested in the history of clans, whether it be Scottish or otherwise. This book provided a mix of both the history of these clans with the colours they wear. It provided large images of these tartans and even dress tartans (think of it as a version of a nice suit; you might wear jeans every day, but then you wear something much nicer when you dress up for an event) for the clans. My only disappointment is that in some places, the print is not up to a great standard. I am referring to the darker tartans with a black base colour. In these cases, many times other dark colours on top of it have not printed correctly so they are barely visible. 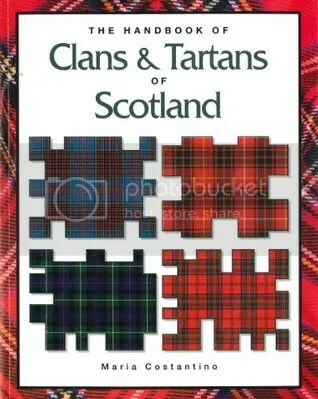 However, luckily, the author has provided written colour information for each tartan so I get the basic idea of them. It’s pretty comprehensive in that respect; providing the information so that another can recreate a tartan with the right colours. As for the information portion, it’s not as inclusive and the details are reasonably condensed. There’s not a ton of details, but there’s enough so that the reader can gain a basic idea of each clan and it’s up to each person to do more research into the clans they want to know more about. Overall, this is definitely one of my favourite books. It was cheap- about $10-15 AUS if I remember correctly-, but has a lot of great information! Thinking back on the book, I’m really glad that I bought it. It’s not the most useful book to my life, as I’m not Scottish and don’t personally know anyone who is… However, I still think it has very valuable information. It’s like (meaning no offense) looking on some sort of culture which is disappearing. Not everyone is going to continue a legacy, but with books like this, the information about such things can be spread and remembered for centuries to come. Personally, I would also think of it as a valuable writing tool. If I were interested in writing something about Scottish clans, I would certainly refer to information like this to inspire me. I bought this book myself and these are just my honest thoughts on it. She Bangs by Ricky Martin (Spanish) / (English) is a song that’s somewhat old. He released it in October of 2000. (That’s just about sixteen years ago!) I’ve always thought it to be a great song. It’s full of passion and it’s a very lively song with an upbeat tune. Pray by Manafest is the first introduction I received to his music. I got the opportunity to hear it because of a free promotional download. His music has a lot of religious sentiments, but I think that a lot of people will enjoy how inspiring it is, regardless of whether they’re religious or not. In The Shadows by The Rasmus is one of my all time favourite songs. This is an acoustic version that was done for Zweden TV on the 19th of March, 2003. Categories / Themes: non-fiction, meditation, psychology, spiritualism. 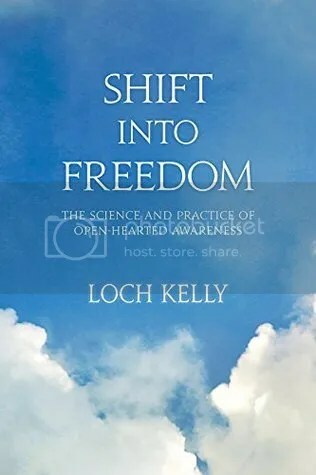 To put it simply, Shift Into Freedom by Loch Kelly is a spiritual book. Though it is quite different in comparison to others I’ve read. Kelly is a psychotherapist and meditation teacher. In my view to the book, it seems he takes an information based look into meditation. It’s a good thing, of course; I appreciate how the author takes a lot of points of view into account. There are references into many different types of religions, as well as examples of practices from each and how they might relate to the reader. Even if you aren’t religious, there is still information to obtain from these examples as it takes into account the efforts of others and how they obtain peace and awareness. There are quotes from experts in the field and he’s also provided unique stories as to how he aids his students in their own paths to meditation, offering examples into their daily lives. There’s obviously a lot of work and research that the author has done. There’s a lot of information to gain from the book and, subsequently it is very text-heavy. However, that’s certainly not a bad thing; the author takes a very in-depth look into meditation. The information is presented well, I think. Having said that, I think that some might find the amount of information intimidating; it’s a book about finding calm and it’s a lot of stuff to take in. Some might find it a bit too much information to take in at once. However, if one takes it a bit at a time, I think they’ll really appreciate the knowledge. My suggestion, if this is the case, is to simply take the information a little. It’s worthwhile to savour the book, rereading if you feel it necessary (there’s nothing wrong with doing that for such an in-depth book), and understanding these practices, in relation to yourself. In addition to the paperback copy, I also received a copy of the audio tracks related to the book. It takes, in the author’s own voice, a deep look into the meditation and provides exercises. I think it’s very useful considering that reading is a different practice than listening. If one is reading the book, they will likely need to put it down in order to begin their exercises. With the audio version, we can simply pop it into a player and then listen to the author guide you, whilst doing whatever feels comfortable. I think that’s a great option; not everyone feels comfortable in the same places or positions as another might. The audio is well done. There isn’t any white noise (that I can hear) and the author takes his explanations slowly so that the feeling is calm and people are able to understand. I also appreciate the rate of his speaking as it gives people the ability to take in each word or sentence at a reasonable rate (and leaving gaps between some portions), letting us understand each portion before moving on to the next. My only fault to the audio copy is that it might be worthwhile having a content guide with the case, that isn’t printed on the discs; one can’t always see the content that’s printed on the disc if it’s in the player. Overall, I feel that this book really does take on a different view to meditation and self help, one that I haven’t found in others I’ve read. There’s a lot of information to guide me and the author provides a lot of varying exercises to help me achieve peace. Personally, I don’t think I gained all the wisdom I can from just one read, but returning to the book in future will definitely allow me to revise the information and gain new perspective into it, after initial meditation. Everyone learns at different rates, with different examples and information. The author has taken a lot of consideration into this, providing information that will help so many different people. I think it’s a well done and quite unique view on meditation and peace. Production Year(s): 2012 (cancelled on a cliff-hanger). Categories / Themes: It’s primarily a crime drama and a work of historical fiction. We begin in 1963 at the world famous prison, Alcatraz. Officers find that every prisoner, guard and other members on staff at the prison to be gone. The cover story people are told is that the prison was shut down and the inmates moved offsite. However, in present day, they begin appearing and causing havoc amongst the city. 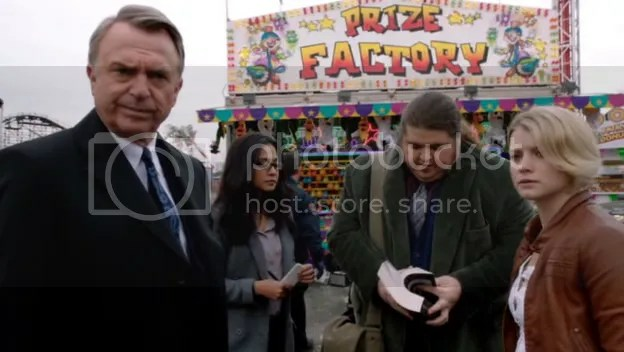 Emerson Hauser and Parminder Nagra run an operation to secure the inmates before they can do too much damage. 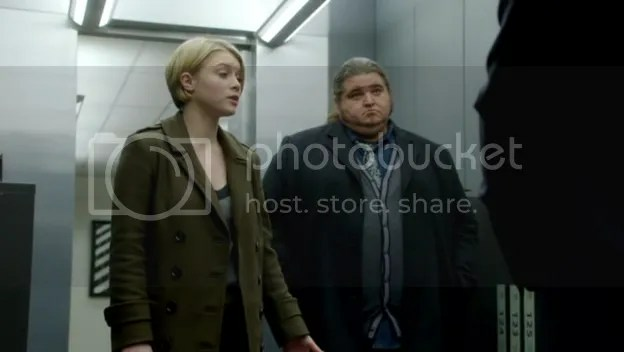 Throughout the first episode, they bring Detective Rebecca Madsen (a police officer) and Dr. Diego Soto (a comic book writer and author of many Alcatraz related books) onto the team. There are background members who work in secret, trying to figure out the mystery of the disappearance and the return. Each episode cuts back and forth between the (fictional) historical events of the inmates and the present day occurrences. As a crime drama, it’s fairly interesting. 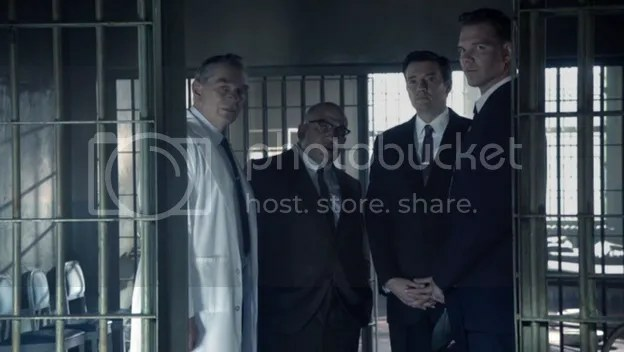 The cases they work on seem to be somewhat straight forward; there’s mystery, but since each episode revolves around particular people, each case seems fairly easy to solve and we even get cuts to what the inmates are doing in present day. I think that it’s a somewhat unique television series in terms of basis. It’s a bit stereotypical in terms of overall plot, however. If you take away Alcatraz, it’s essentially a cop drama. Though, we do have a look into the psychological portions of why these criminals behave in such a manner. The cases they work on are fine, but not the most original. Emerson Hauser and Dr. Lucy Banerjee are fantastic characters in my opinion. Though Hauser isn’t the most original, in terms of personality, I appreciate the back and forth views on his life. The same with Banerjee; though she’s not as involved in the present day team as the other characters, she does have a very unique perspective to the criminals and her parts are fundamental to understanding each criminal. It is disappointing that it was cancelled, though I can understand why it was. I think Madsen’s character was hugely stereotypical; a tomboy police officer, on a revenge mission, who has issues working with other people… Which is just ridiculous considering in a job such as a police force, you have to be able to work with others; that’s a huge part of the work you do. Not only do you need to work with other officers, you need to work well with the community. She just had these flaws that made her seem unlikeable; she didn’t always treat people very well and she didn’t take all of her orders seriously (she even put co-workers, plus members of the public in danger because of this). All that being said, I think the actress did reasonably for the position; it was primarily the actual writing of the character at fault. I don’t think, as a character, Dr Soto is the best person to work in such a position. I can see that he was brought on to the team without much thought or care for training and proper handling of the position. I think he’s good as a team member, but it would have been best (for all involved) if he had just stayed in the office. It just seems silly that he would go out and involve himself with the public and needlessly endanger people because he’s somewhat untrained. Also, I think there are just too few characters overall. I know that there’s some sort of super secret research team in the background, working on solving the problems. However, the Hauser, Banerjee, Madsen and Soto team needs to be bigger. It just seems silly that only one or two criminals (or whatever) turn up at a time and they conveniently have enough time to catch them before going to the next criminal that has appeared in the meantime. Surely there would be at least half a dozen officers more to work on cases, especially considering that there might be a dozen appearing at once or something similar. Plus, what about the criminals that were lying low? Surely there ought to be someone working on that aspect, just in case one escapes their notice while they’re busy on a different inmate. On another note, it seems silly to have the characters travelling back and forth from the city to the island to investigate matters. We don’t generally see it happen, but you have to wonder how much time they waste in doing this. I can understand why the outpost uses the original Alcatraz facility, but there really ought to be an office on the mainland where they can work as well. It’s silly because imagine you go out to work on a case- you’d need to travel to the mainland. From there, you find evidence. However, then you’d need to travel back to the island to analyse and do research on that piece of evidence. After you’ve done that, you then need to go back to the mainland to follow any leads you’ve found because of that evidence. It must be a ridiculous waste of time on their part. They don’t do all the evidence analysis themselves, but a distinct amount of their work does take place in their island offices. Overall, I really do like the show. However, I think it needed major improvement and a little bit more originality for its characters. Plus, it would benefit from a bit more common sense; many characters just make silly mistakes which put others in danger. I think there were just too many mysterious aspects going on. Obviously there’s the unexplained disappearance and reappearance, which is a fine inclusion for me. However, it got really complicated when there were keys involved, secret tunnels and treasure. By the end of the season, there are just too many unexplained things. I am not being paid, nor do I receive and funds, for this post. It’s just an honest review of a show I like. Harry Clifton is a young boy, without a father; the man had died during the war- or so he has been told. He is raised by his mother and uncle. Both of them try to do their best to impact their own views on him and raise him in the way they see fit. He finds himself attending an exclusive school on a scholarship and makes friends that will further change his life. It is here- and through the people we meet at this place- that we find the answers to closed off parts of his life. I enjoyed the majority of the book, though it did have some problems and portions that I didn’t particularly enjoy. As a character, he’s somewhat relatable; he has struggles in early life with attention and he little interest in school life. It was quite uplifting to have so many people take an interest in Harry’s life. From his teachers to his choir master, a lot of people are very involved in his life. 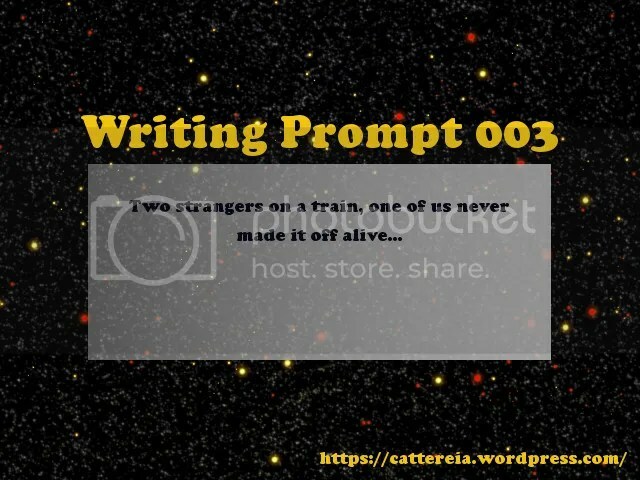 In the same sense, it also felt quite interesting and added a lot of character to the novel because of the warm background characters with stories and agendas of their own. I find many of the characters to be interesting and a personal favourite is Old Jack. I thought it interesting that Harry was receiving an education with him even though he was barely going to school at some points in time. Harry, as a character, was quite interesting as well. He seemed quite innocent through a large portion of the novel, unaware of the perils his own mother was being put through just so he could receive a good education. His mother was another of my favourites and I found it truly inspiring the incredible lengths she went to. I was particularly interested in the telling of her own story, going through so much work at Tilly’s, the various hotels and even her later work. I laughed quite hard when she was applying for the job at Tilly’s, turning up several hours early and then immediately getting the job. I was quite interesting in Hugo Barrington as well. I felt that the positions he’d been put in were quite understandable. Though he made some wrong choices, I felt that his character was quite misunderstood by many of the other people, even his own family. His hatred for Harry wasn’t exactly deserved by the boy, but understandable. The plot of the novel was good, but at later points it seemed a little bit lost. Much of the first portion was clear; it was somewhat focused on Harry’s education and his being accepted into the various schools he wanted or needed to go to. I was particularly intrigued by the school life of the boys, Harry, Giles and Deakins. I think many of the interesting parts of their lives were glossed over and then we were introduced to a new aspect of the book. I think it lacked a little bit of attention to some of the more important portions as it was jumping around a bit. Later on, I also felt like the book took an abrupt turn, right between Old Jack’s portion (1925-1936) and Giles Barrington’s portion (1936-1938). It just seemed like everything had changed in-between these sections and much of it wasn’t really explained. It was disappointing because I felt like I was missing out on a lot here. Soon after, we find that Giles’ little sister, Emma, and Harry have now begun some sort of romance. It was sweet (and hinted on earlier in the novel), but it felt almost as if it was a bit forced. There were elements in the novel that were a bit unnecessary as well. I certainly thought Giles’ affair with the tour guide to not be needed; even though it did sort of play a place in the novel, I felt it could have been done differently. 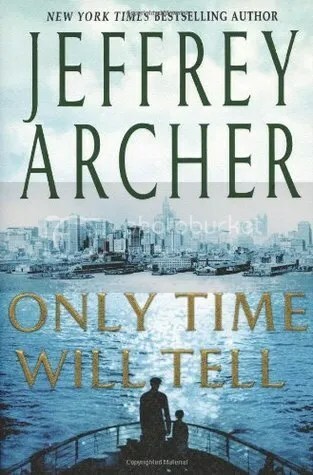 The majority of the novel in the beginning was meant to have some innocence, but in the later portions, it felt like a lot of elements went inappropriately and it led to a disappointing ending for me. I was especially disappointed with the final portion with Harry taking to the seas, being lost at sea and “dying”. It felt like such a dull element to the book, even though I know it was meant to be interesting and to give the next book something of a “fresh start”. Overall, it only took me 8 and a half hours to read the book, over several days. I did enjoy it and I liked the themes that were presented in the beginning of the novel. I liked the money struggles of the Cliftons, though quite saddening, and I felt that the ending to that plotline was a little unfinished (though we did receive an explanation). I liked the issues in Harry’s school life, even though that was also a little bit unfinished (but with explanation). I felt that it’s worthy of four stars. Looking back on it, I still like most of the book and what I remember of it. I think the main problem I have is the relationship between Harry and Emma. I do still like their connection and feel they are somewhat suited to each other, but it just seems to end on a lacklustre note when they can’t be together. Harry sort of takes on a cowardly personality and runs from the situation, which sort of implies to me that their bond really can’t have been that strong after all. Thinking of it in general, I don’t think that Harry’s paternity ought to have taken such a bold point of the book. I think that the novel could have worked well without those issues. I also think that the ending is still somewhat irrelevant to me. I have since bought a copy of the second novel, though I have not yet read it. I think the main reason is that I’m not particularly excited. I still do want to read it, but at the same time I just feel like the major changes in Clifton’s life will make it too different than the first. I won a copy of this book via Goodreads Giveaways and these are just my honest thoughts on it. I have since also obtained an eBook copy via Amazon Australia.